followed by scores of state officials justifying the hateful crime. 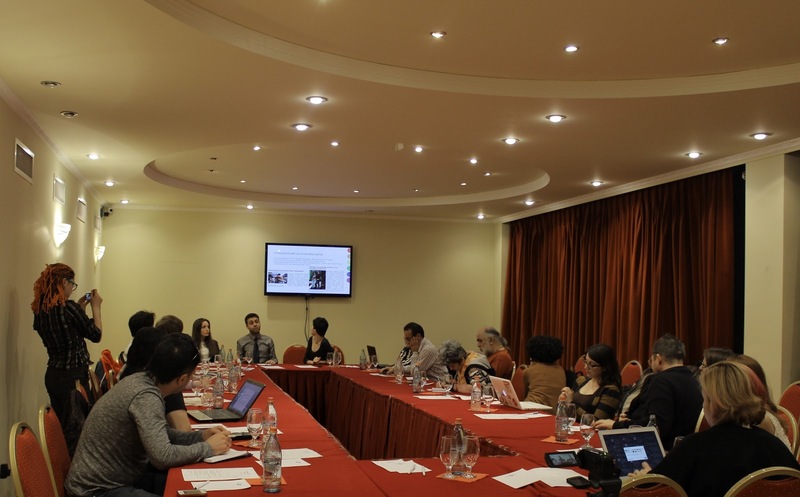 In connection with this, on May 8, 2013 at 12:00 pm, Ani Plaza Hotel hosted “Hate Culture in Armenia: One Year Later”, a round-table discussion organized by concerned citizens with the support of Human Rights House – Yerevan. Lusine Ghazaryan presented the legal process of the case, emphasizing that what happened was a hate crime because the act was aimed at destroying not only property, but to intimidate and threaten the owner of the pub as well as the safety of her supporters. “The criminals were charged under Article 185 of the criminal code, which does not include hate crimes,” said Lusine. Adding that this case might have great strategic importance, as it can bring significant positive changes in the law to include intent. Mamikon Hovsepyan of PINK Armenia spoke about institutionalized homophobia and how every time there are elections, political parties draw attention to LGBT people and use homophobia as a means to gather an electorate since a majority of the population is homophobic. “They target specific people and last year after the parliamentary elections the target was Tsomak”, said Mamikon. Human rights defender Arthur Sakunts noted, “the structure of the government is monopolized, which creates fertile ground for the emergence of different forms of discrimination to which religious organizations, LGBT individuals, women, ethnic minorities, foreign citizens and anyone else who is somehow different from the ruling majority are subject to. The solution to this problem is Article 1 of the Constitution of the Republic of Armenia which states that Armenia is a sovereign, democratic, social state governed by the rule of law”.